The NYC Commission on Human Rights filed religious discrimination charges against a wheelchair assistance service company Jan. 25 for allegedly discriminating against Muslim employees by repeatedly denying their requests for break time to pray and break fast during Ramadan. The company, Pax Assist Inc., providing service at JFK International Airport was charged Jan. 25 with violating NYC Human Rights Law. The complaint also alleged that supervisors at Pax Assist Inc., which serves 32 airlines and employs more than 250 workers at Terminal 4 at JFK, publicly harassed Muslim employees over a radio system when they requested break time. The commission has notified Pax Assist Inc. of these charges and is awaiting its response. “Discrimination does not just happen on the street, it can touch every part of our daily lives, including in the workplace,” Mayor Bill de Blasio said. 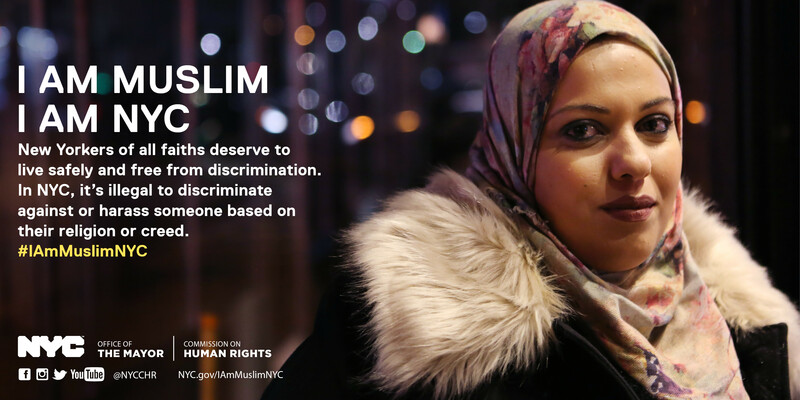 “Now more than ever, it is important for everyone to stand up against discrimination and hate, and to protect the rights of Muslim Americans. The Commission is working hard to ensure that every community understands their rights and is legally protected against discrimination and bigotry,” the mayor said. The commission, which filed the religious discrimination charges on behalf of the City rather than requiring individual victims to file claims, also alleged that the company’s employee break policy has a disparate impact on employees of every faith who may be deterred from requesting religious accommodations to pray at work consistent with their religious practices.